Find out if you're suitable for laser eye surgery. 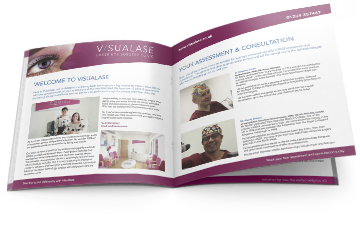 Have you been considering laser eye surgery but are unsure whether you would be able to have the procedure? Now you can find out if you are suitable with our quick survey. You must be at least 18 years old and have a stable prescription in order to be considered for laser eye surgery. Based on your prescription it looks like you will be eligible for laser eye correction. Based on your prescription it looks like you will be eligible for laser eye correction in your right eye. Based on your prescription it looks like you will be eligible for laser eye correction in your left eye. To find out more about laser eye surgery click here. It appears your prescription falls outside the treatable range for laser eye surgery. If you are unsure about your prescription, or have any questions about what options might be available for you, please contact us on 01204 387467. A minus sign (-) before a number indicates that you are short-sighted. A plus sign (+) means you are long-sighted. If you have an astigmatism this will be indicated by a number in the Cylinder field. The following medical conditions may mean you are unsuitable for laser eye surgery at the current time, but can be confirmed during your FREE consultation with one of our surgeons. Eye infection - your eyes need to be clear of infection before treatment can take place. If you are pregnant or breastfeeding - we recommend that you do not come for a consultation until 3 months after weaning. Diabetes - if you have healthy retinas and your diabetes is well controlled you should be OK. Increased internal eye pressure - eye pressure needs to be under control. Dry eyes, Epilepsy, MS - treatment will depend on the status of the condition. Your prescription is low (under 0.75) and you do not have astigmatism. Very large pupils with high correction. A squint or prism which is not corrected by contact lenses. If you are unsure please do contact us and we will do our best to advise you.